When I was two I ate a peanut butter and jelly sandwich, then I got a rash. My allergy doctor confirmed that I have a peanut allergy and said not to eat peanuts or anything that is manufactured in a facility that processes peanuts. Luckily I’ve never had a serious reaction and we are hoping I will grow out of it. It has been a little difficult avoiding products with peanuts. 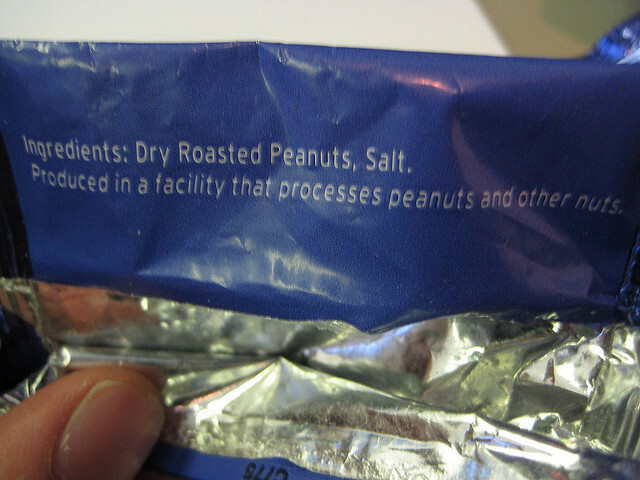 Most chocolates, candies and cookies either have peanuts or are manufactured in a facility that processes peanuts. So are a lot of brands of ice creams, cereals, and granola bars. I end up eating more whole foods rather than packaged foods. Instead of eating peanut butter sandwiches I eat turkey, cheese, or hummus. Thankfully I’m not allergic to tree nuts because then I wouldn’t be able to have almond butter, sun butter, or my favorite, pistachio butter. It seems like most of the things I can’t eat are unhealthy. Because there are so many sweets I cannot eat, I’ve developed healthier eating habits. Sometimes I feel jealous when I see other people eating things that look good to me but have peanuts. Even though I feel sad sometimes I know it’s okay because there are plenty of yummy things I can eat and I’m lucky to be as healthy as I am.